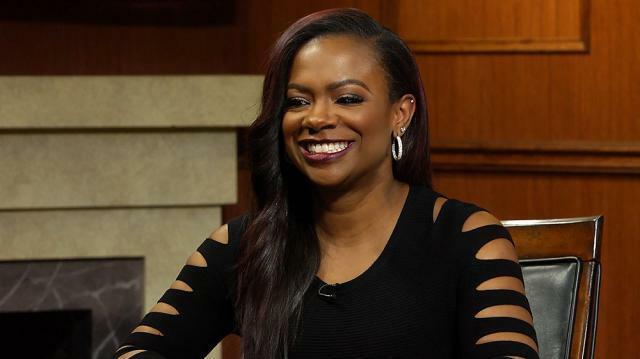 Kandi Burruss denies claims that her reality show, 'The Real Housewives of Atlanta,' is fake. She does, however, reveal the methods producers use to spark drama in an attempt to increase the show's entertainment value. Larry King: In other words, do they invent things? Kandi Burruss: …cause of the show. Going on a trip with a girl that you know, you don’t even like. Like, we wouldn’t want to invite some of those girls on a trip with us, you know? But, you know, you’re on a show together so you have to deal with each other. Larry King: But once you do go, that’s real. Larry King: They encourage then, drama. I mean, what would the show be without some drama? Kandi Burruss: Yeah. Nobody would pay attention if there was not a gasp moment, you know? People like the oh my goodness moments. And so, you know, there’s so many people that say ‘oh why you guys have so much drama?’ but then the shows that don’t have any drama a lot of people don’t support those shows. So it’s just like, yeah if they know there’s some things that’s going on that’s like over the top that’s good TV, so of course they’re gonna follow that.